Hop on the Bus With Us! 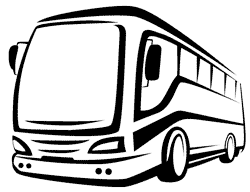 Bus departs promptly at 7:00 p.m. from the Gold’s Gym parking lot on Waco Drive next to El Conquistador Restaurant. Reserve for all Season Concerts or just a few.